This entry was posted on August 29, 2017 by Rachel. In two weeks it is time again! The holidays are coming to an end and, as every year, the typical mixed feelings are setting in: the ending of the summer holidays and the anticipation for the next school year or semester - and with it everything new and unknown, lies before us. Error 404: No motivation found? Motivate yourselves with a brand new mobile phone cover! Read below about the most beautiful ideas for Back to School Designs. You think school or college can only be dreary and gray? You think wrong. Cute drawings or elegant black and white illustrations of pens, markers, and erasers can give your phone a cool new look! And psst - you can make this case exactly at GoCustomized! The exam period simply does not end and your energy is already at the lowest point? Sometimes what is best to help keep us going is a few encouraging words. Have your motivation coach always by your side and immortalize your mantra or life motto on your own designed mobile phone cover! Friendship chains? Old hat! Phone cases are the best way to prove your friendship in the 21st century. Show everyone who is your soul mate in college or school is with a mobile phone cover that matches perfectly with your best friend's! No matter whether you need clear lines or an eye-catching design, stickers, emojis, name labels or a common photo - everything is possible. By the way, when is your birthday? A personalized mobile phone case for you and your better half is also a unique birthday gift. 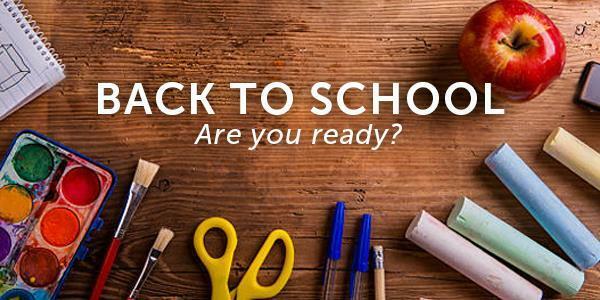 You still have two weeks to prepare for the start of the new school year and to design your own design. We look forward to seeing you at GoCustomized. Here you can create your own mobile phone cover, just the way you like it. You have an older model? No problem! We also have the right case for your mobile phone. This entry was posted in Smartphones on August 29, 2017 by Rachel.